The only non-branded essential oil funnel system to help you get customers, maintain customers and earn residual income for life. It’s a proven natural complement to your health coaching and wellness business. Health coaches, you can finally integrate essential oils into your offerings to further support your clients in achieving their health goals holistically – without lifting a finger. 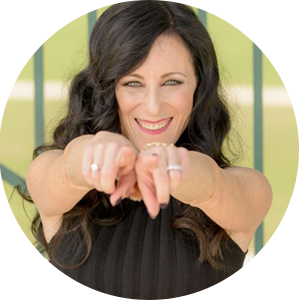 Adding a new dimension to your health coaching business can be a real challenge, but one that’s worthwhile, especially when you desire residual and passive income. Adding Essential Oils to your ongoing offering can make an enormous difference in your clients’ lives, and for your business – but it can also be overwhelming. Your days of not knowing how to add or sell essential oils in your health coaching practice are OVER. Take your health coaching business to the next level and give your clients something more than they ever imagined with Essential Oils. Make them part of your signature offers, detoxes, clean-eating programs and more, and help your clients discover real, enhanced benefits they never thought possible. Make this Done-For-You Essential Oil Complete Funnel and Course Builder Program your own by selling it as-is, or as a basis for online group coaching. Launch an e-course, hold at-home EO parties, turn this ready-to-use program into your new best offering and start turning your investment into RESIDUAL PROFIT. Give your clients a wellness transformation like nothing they’ve ever experienced while boosting your sales with a done for you course that works. Essential oils are so much more than just pleasant-smelling aromas – and if your clients don’t learn how to use them the right way, they won’t get the benefits or come back for refills. You have an opportunity to give your clients more than they ever expected, and introduce them to the incredible benefits EOs can offer, so they turn into loyal repeat customers month after month. Show your clients how to transform their health and wellbeing routines with Essential Oils so they fall in love with every drop and return every single month for more oils. This done for you program is ready to go, to help you launch your education course and start making a profit now. No spending hours studying every last benefit of every single oil. No wasting money trying to get a personalized program written. Not a minute wasted while you try to balance a full-time job, coaching career and EO business. Start driving continuous income today, and focus on what you do best – sharing oils. You won’t waste time and energy trying to find the right way to educate your clients. You won’t spend a small fortune on programs that don’t work because this one is not only effective, it’s affordable, too! You won’t wear yourself out by trying to do everything, be everything or make everything happen – focus on your strengths, while we use ours to support you. Quit being just another cookie-cutter coach selling the same old programs, and start being the coach who gives their clients long-term life-changing value. Every essential oil advocate turned their dream business into a success by offering an education course to nurture their customers and keep them returning for more oils. I’ve done all the hard work for you, all you have to do is plug ‘n’ play. And all of it reflects your branding because it’s all copyright-free and totally customizable. Want to know how to get and keep essential oil clients for life? The secret is to make them fall in love with the power of essential oils. You can work it like this, coach. I’ve put together an entire done for you A-to-Z system to help you fill your essential oil business with happy, loyal customers so you can make residual income month after month. Grow your list with our done for you opt-in freebie and webinar bundles. Build trust through the done for you nurture email education sequence. Get customers with our done for you education course. Keep customers by making them fall in love with the power of essential oils. Earn residual income for life – the simple, done for you way. You’ll never find a done for you package like this – not one you can brand as your own. 1. Launch an opt-in freebie or webinar as a gateway to your program or course. 2. Enroll clients into your course or program. -Record the PowerPoint as a bonus class. -Use the emails to educate your clients and add a video of yourself talking and walking them through it in each email. -Deliver the guide and cheat sheets. -Break the course down into 4 modules. You can record the videos by pulling the information from the guide you already have. 4. Voila! You can launch online in a jiffy! 2. Lead clients to a session with you. 3. Sign them up as a customer. 4. Gift them the course for free when they purchase a kit worth over $500. Ready to rock your essential oil business? YOUR CLIENTS WILL LOVE THE BENEFITS THEY GET FROM EOs, AND THEY’LL LOVE YOU FOR INTRODUCING THEM! PLUS, you get everything you need to set up a successful lead magnet or low-end offer to get loyal clients and make recurring money! And it’s not just your clients who get great benefits – your business gets the boost it needs to make killer sales and get your name the visibility it deserves! Total Value is well over $10,150. But – you get everything you need to create a sustainable essential oil business for ONLY $477. What if there was a simple solution? It’s all been done for you already – the research, the planning, the writing and the designing – all you need to do is sell it and reap the rewards. The best part? You can get started with just the click of a button. GIVE YOUR CLIENTS THE BOOST THEY NEED, WHILE BOOSTING YOUR BUSINESS FOR LIFE. I created this program for you because I know what a challenge it can be to introduce your clients to new concepts, new ideas, new ways to boost, supplement and complement their health, while completely avoiding those programs that don’t educate them properly. Isn’t it about time you started seeing some real returns on your Essential Oils business? Grab this opportunity to get your business growing right now and enjoy the rewards of a wise investment. TAKE YOUR CLIENTS’ HEALTH AND WELLNESS TO THE NEXT LEVEL TODAY. They deserve it, and so do you! Get your Essential Oils business off the ground right here, right now for ONLY $477. Essential Oils Business Builder by Rachel Feldman is licensed under a Creative Commons Attribution-NonCommercial-NoDerivs 3.0 Unported License. RE-SALE OF ALL PROGRAM MATERIALS IS PROHIBITED.